Here at Gene’s Automotive Shop, we can give you a hand with services ranging from Virginia State Inspections, hybrid drive systems, modifications, engine cooling and exhaust, heating and air conditioning, brakes and traction control and drivetrain issues. 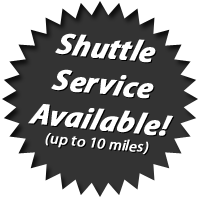 We also offer services on diesels, RV’s and limousines. For your convenience, we proudly accept American Express, Visa, MasterCard and Discover as methods of payment. Antique and classic car repairs are one of our specialties. Our shop has over 30 years worth of experience. No matter the year, make or model, our team can provide quality knowledgeable service at a reasonable price. We have experts trained and ready to address the problems that typically occur with any type of vehicle. Gene’s Automotive Shop is located just south of Richmond in Petersburg, VA. Contact us today to set up an appointment for your Virginia State Inspection or repairs on your automobile.